Situated on the banks of the lower Loire river, Blois opens doors to many activities centered along the banks of the river. On the 26th (Sat), explore the historical opulence of Chateau de Cheverny and then step into the grandiose world of Chateau Royal de Blois. Here are some ideas for day two: pause for some serene contemplation at Blois Cathedral, then explore the historical opulence of Domain of Chaumont-sur-Loire, and then explore the historical opulence of Chateau d'Amboise. For traveler tips, other places to visit, and tourist information, refer to the Blois itinerary builder. Calgary, Canada to Blois is an approximately 20-hour flight. The time zone difference moving from Mountain Standard Time to Central European Time is 8 hours. In August in Blois, expect temperatures between 28°C during the day and 15°C at night. Wrap up your sightseeing on the 28th (Mon) to allow time to drive to Bayeux. German Cemetery La Cambe and Sainte Mere Eglise are good opportunities to explore the local culture. Eschew the tourist crowds and head to Remains Mulberry Harbour and La Batterie d'Azeville (Azeville gun battery). Explore the numerous day-trip ideas around Bayeux: Utah Beach D-Day Museum (in Sainte-Marie-du-Mont) and Airborne Museum (in Sainte-Mere-Eglise). Next up on the itinerary: witness the site of a historic battle at Omaha Beach, stroll the grounds of Bayeux War Cemetery, steep yourself in history at Pointe du Hoc, and contemplate in the serene atmosphere at Notre Dame Cathedral. For reviews, traveler tips, ratings, and tourist information, read our Bayeux travel itinerary creator. You can drive from Blois to Bayeux in 3.5 hours. Other options are to take a train; or do a combination of train and bus. August in Bayeux sees daily highs of 26°C and lows of 14°C at night. Wrap up your sightseeing by early afternoon on the 31st (Thu) to allow time for travel to Carcassonne. Step off the beaten path and head to Chateaux de Lastours and Château Comtal. Get some cultural insight at Cathar Castles and Eglise Heptagonale Sainte Marie. And it doesn't end there: take in the architecture and atmosphere at Carcassonne Cathedral, contemplate in the serene atmosphere at Basilica of Saint-Nazaire, contemplate the long history of Maison des Mémoires, and explore the historical opulence of Cité de Carcassonne. 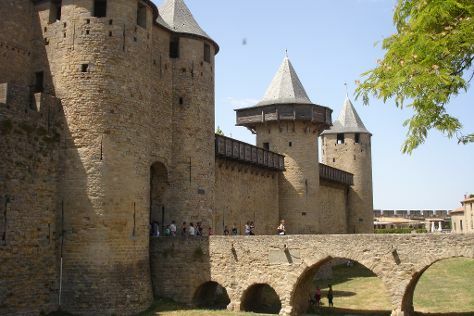 For traveler tips, where to stay, other places to visit, and tourist information, go to the Carcassonne itinerary maker. Traveling by combination of train and flight from Bayeux to Carcassonne takes 6 hours. Alternatively, you can drive; or take a train. Expect a bit warmer temperatures when traveling from Bayeux in August; daily highs in Carcassonne reach 33°C and lows reach 19°C. Finish your sightseeing early on the 3rd (Sun) so you can drive to Rocamadour. Kick off your visit on the 4th (Mon): steep yourself in history at Cite Religieuse, then explore the fascinating underground world of Grottes de Lacave, and then take in the spiritual surroundings of Basilique St-Sauveur. On the next day, get in on the family fun at La Foret des Singes, then Head underground at Grotte du Pech-Merle, and then explore the fascinating underground world of Gouffre de Padirac. For traveler tips, maps, reviews, and more tourist information, go to the Rocamadour itinerary builder. You can drive from Carcassonne to Rocamadour in 2.5 hours. Alternatively, you can do a combination of train and bus; or do a combination of train and bus. Expect a bit cooler evenings in Rocamadour when traveling from Carcassonne in September, with lows around 12°C. Finish your sightseeing early on the 6th (Wed) so you can drive to Les Eyzies-de-Tayac-Sireuil. Kick off your visit on the 6th (Wed): steep yourself in history at Cave Dwellings, then take an in-depth tour of Chateau des Milandes, and then step into the grandiose world of Chateau de Beynac. 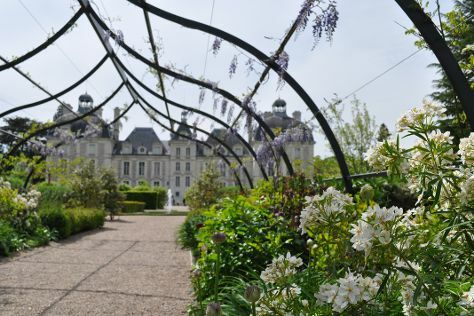 On the 7th (Thu), you'll have a packed day of sightseeing: explore the fascinating underground world of Le Gouffre de Proumeyssac, then steep yourself in history at The Maison Forte de Reignac, and then don't miss a visit to Chateau de Commarque. To find where to stay, other places to visit, more things to do, and more tourist information, refer to the Les Eyzies-de-Tayac-Sireuil sightseeing planner. Traveling by car from Rocamadour to Les Eyzies-de-Tayac-Sireuil takes 1.5 hours. Alternatively, you can take a train; or do a combination of bus and train. September in Les Eyzies-de-Tayac-Sireuil sees daily highs of 29°C and lows of 12°C at night. You will have some time to spend on the 8th (Fri) before leaving for home.